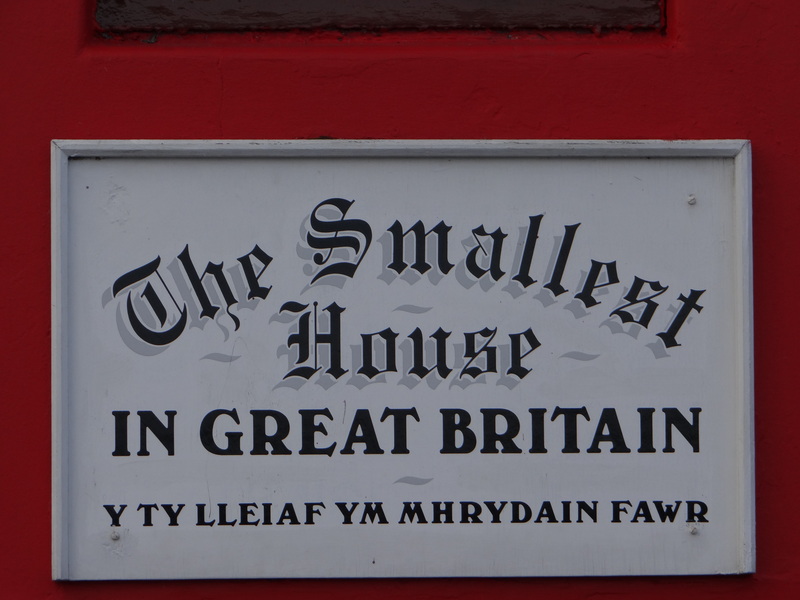 We found the Smallest House in Great Britain nestled amongst a terrace of houses on Conway’s Quayside in Wales. 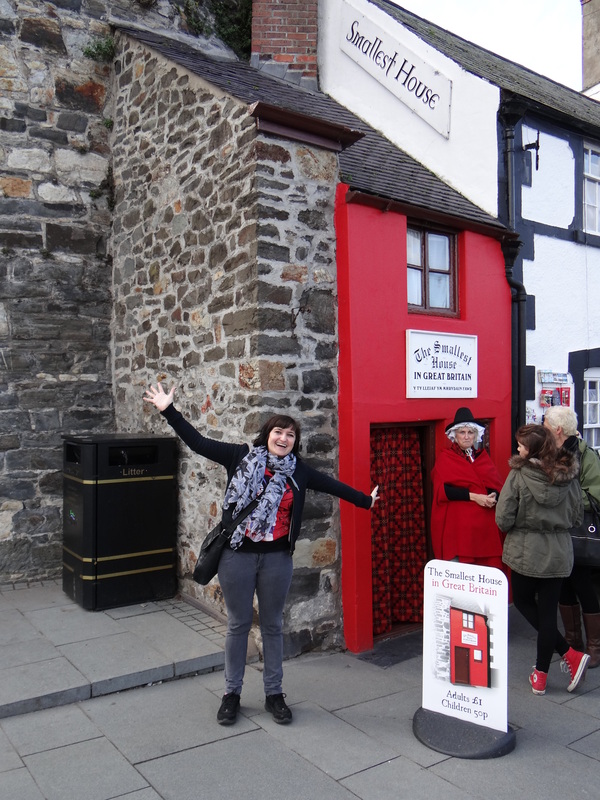 We couldn’t really miss the smallest house as it is painted a bright red and looks so cute situated next to the high city walls of Conway. 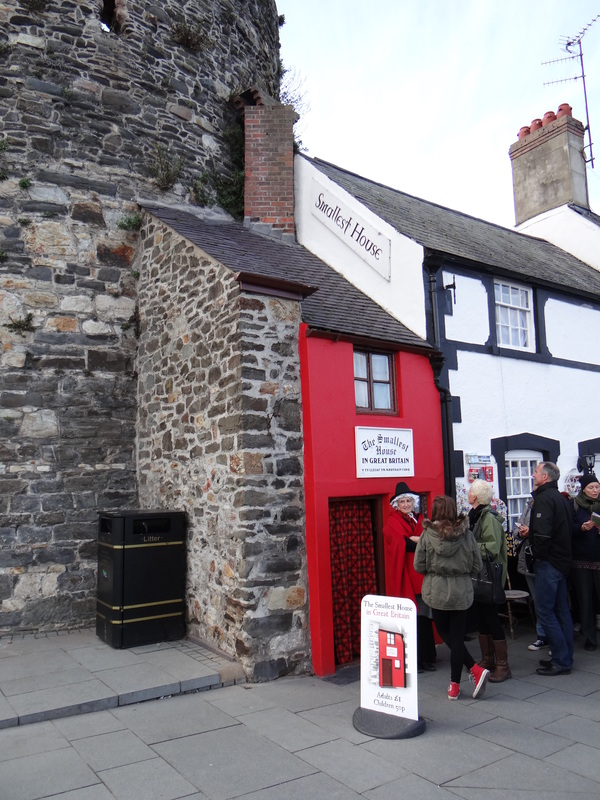 The house, which has a floor area of 3.05 metre by 1.8 metre and a height of 10 feet 2 inches, was actually used as a residence from the 16th century until 1900. 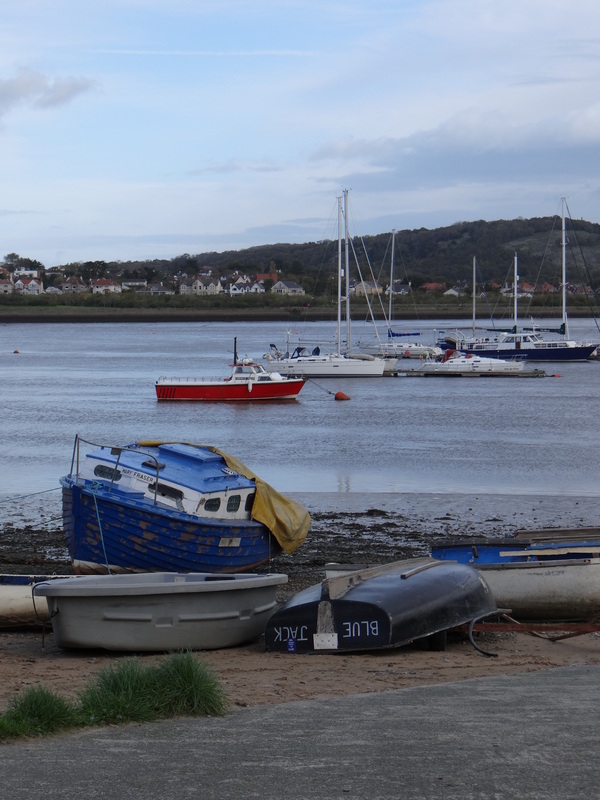 It is sai that the owner was a 1.9 metres tall fisherman named Robert Jones. The upstairs is so minute that there is room only for one bed and a bedside cabinet. The rooms were too small for him to stand up in fully and he was eventually forced to move out when the council declared the house unfit for human habitation. The house is still owned by his descendants. 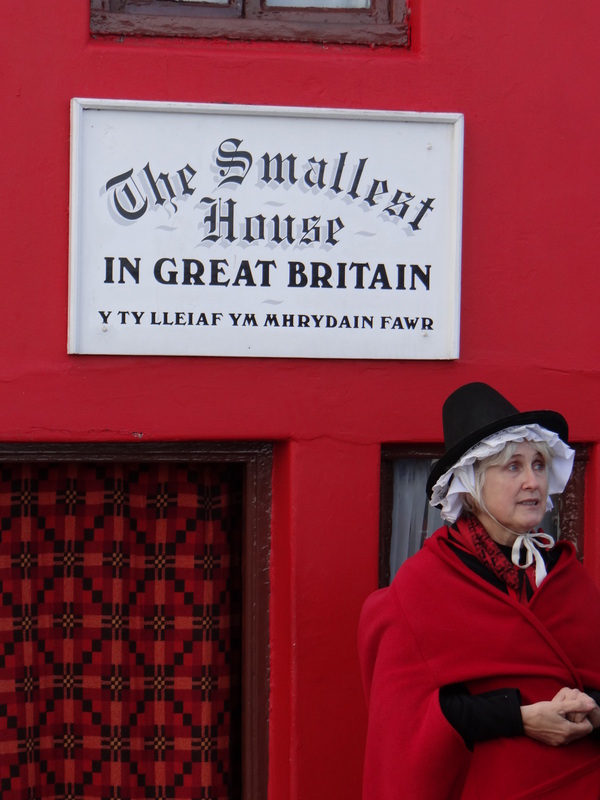 A Welsh lady in traditional clothing stands outside this small house telling tourists a bit about the history of this cute place. 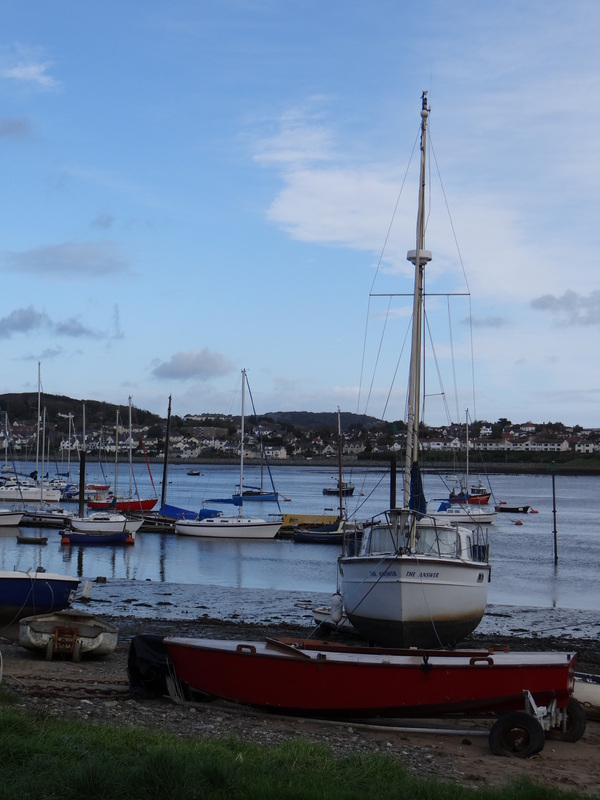 Standing in front of this small house you look out over the beautiful river and harbour of Conway. I can definitely understand why you would live in such cramped quarters with such a fabulous view. 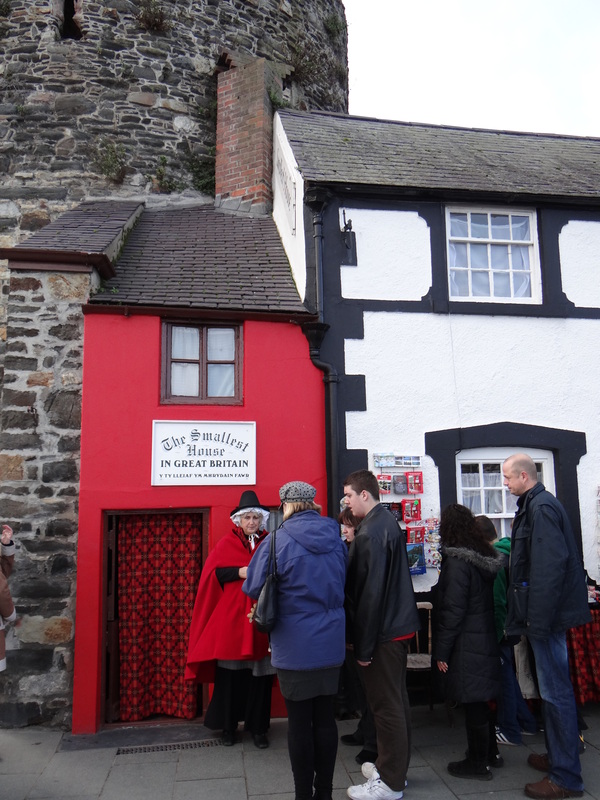 32 Responses to Quay House in Conwy, Wales is the Smallest House in Britain! I could live there easily. Small and quaint…ideal for a world traveler like you!! That is definitely a tiny house. Yes. I know other commenters have said the same and yet I still can’t help but stop and say it. It is teeny tiny Bronwyn! But should be quite cosy in the cold winter months. Dont think he ever entertained any guests. Hi there Janaline, I’m feeling chipper and chirpy and I just wanted to let you know that I’ve nominated you for a Blog of the Year 2013 Award. My post will be published this evening at around 6.00pm Australian Time. Congratulations to you for a creating a truly Wonderful Blog. Thanks for that lovely compliment!! I am so glad you have joined my journey and that you are enjoying the adventure! Maybe it’s a Tardis in disguise! That would be a very cool Tardis!! You are right…It is small but has superb views…!!! The views definoitely make up for the tight squeeze inside! Tiny little bugger isn’t it? Very tiny! Cant imagine fitting a bed and a chair comfortably in there. Thank you!! I am now officially back in SA and will be exploring the Western Cape area soon….. I remember seeing this little house from the car when I was a child – don’t recall it being red, though! Like your images of the view from the house…. Thanks Sue! I think the view from the house would definitely make it worth living in such cramped quarters. Are you sure it wasn’t a telephone box? It is hard to believe that a bed would fit in there! I agree….this would be a night mare for me as I am very claustrophobic! My friend been there, but I havn’t. It really looks super cool! I do hope you get to visit it someday Sasha. 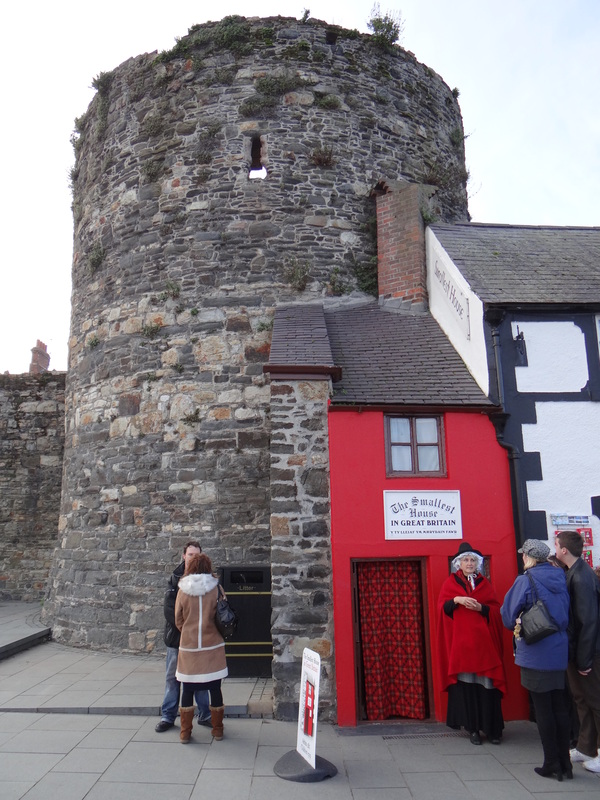 The walk on the city walls is also a fabulous experience. Ooh, I wonder what it looks like inside? You didn’t get to go inside did you? I love tiny houses. I can just imagine how cramped it must be inside…not a place for anybody even a bit claustraphobic! The line was quite long and we still wanted to go for a hike in the mountains of Snowdonia so unfortunately we didnt get the chance to go in.